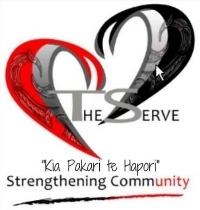 The Serve Trust (formerly known as the Hamilton Homeless Trust - HHT) is a charitable trust made up of dedicated and loving volunteers who want to help in their community. In order to carry out their mission, The Serve Trust is looking for donations. Financial donations can be deposited directly into The Serve Trust account #12 3454 0136010 00. The Trust can provide a gst recepit on request. Thank you for your support!